While he is the first driver to run 300 MPH in eliminations, and boasts 10 NHRA and 20 IHRA race wins, Doug Herbert is most well known for his legendary explosion during the 1999 NHRA Finals. He is a long-time driver, who also runs a camshaft company, and is working on a land speed record attempt. Sadly, Herbert lost his two sons in a car accident. He decided that he needed to do something, and so he founded B.R.A.K.E.S. (Be Responsible and Keep Everyone Safe). This non-profit organization is devoted to teaching teenagers about safe driving, and reduce the number of teen fatalities in traffic accidents. 1999 was actually a great year for Herbert, where he won four events, and made six final rounds, and won the Winston No Bull $100,000 Challenge at the O’Reilly Nationals in Baytown,Texas. While he had a career season, the 1999 finals saw his dragster explode violently. Though he was not seriously hurt, the explosion was not how he wanted that season to end. One good thing that did come from that season is that Snap-On renewed their sponsorship with Herbert. Snap On was Herbert’s sponsor since 1995. Snap On was founded in Milwaukee, Wisconsin in 1920. Their approach was to design and build quality tools, and have their franchisees visit their customers at their companies or job site, rather than having them stocked in stores. This business model proved successful, and Snap On has been making tools in the US for many years. 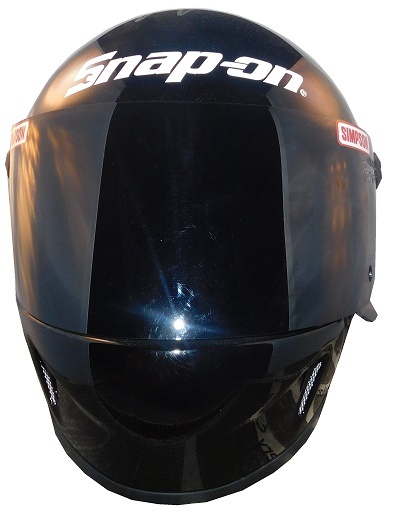 Since the 1980’s, Snap On has been sponsoring auto racing, including NASCAR and the NHRA, promoting various products. 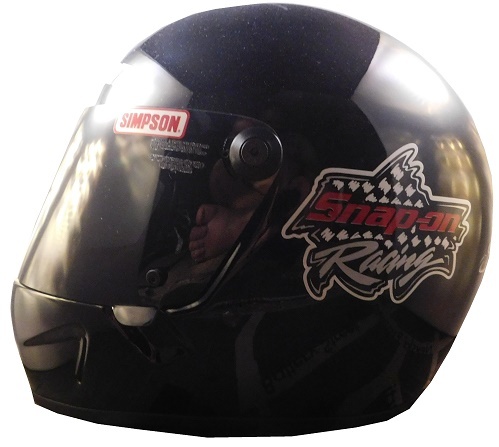 In 1999, Snap On began promoting their Southern Thunder tool boxes and chests with a series of racing items. 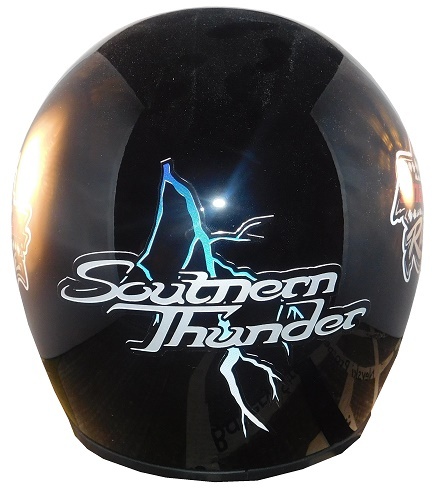 This comes as no surprise, since Southern Thunder was a racing themed set of tool boxes. These tool boxes are now pretty valuable, with some examples selling for well over $3000. 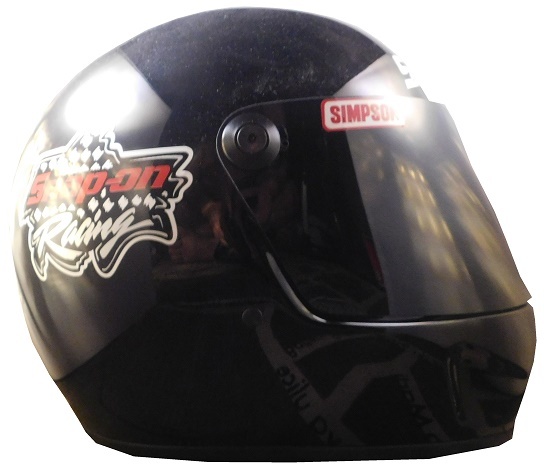 During that time, Simpson Race Products made this replica Southern Thunder Helmet, which Herbert Signed. 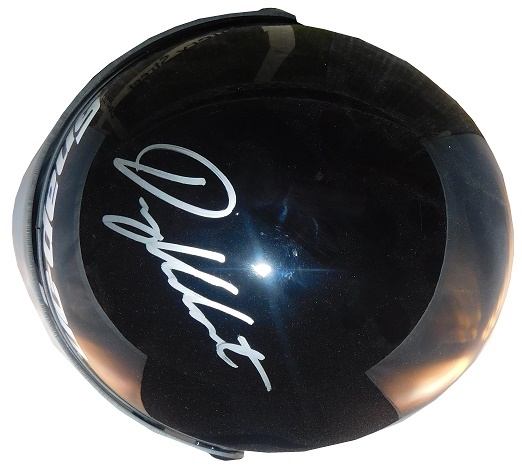 The all-black helmet has a SNAP ON logo above the visor, SNAP ON RACING logos on the sides, a SOUTHERN THUNDER logo on the back of the helmet, and Doug Herbert’s bold signature in silver Sharpie on the top. 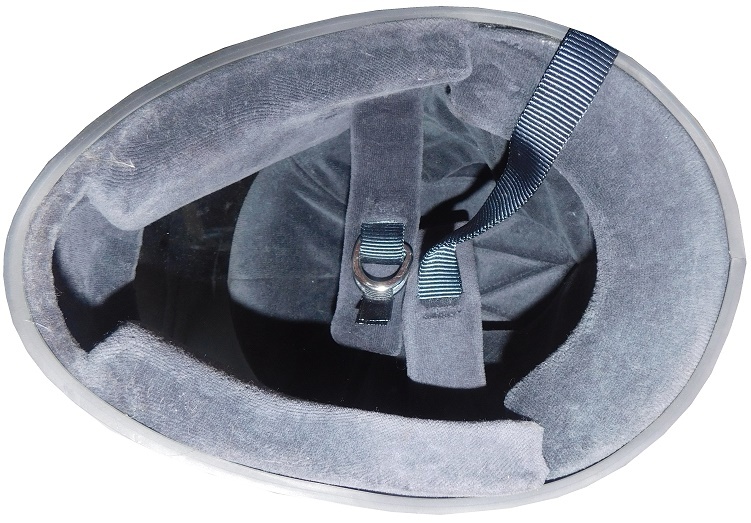 Unlike many replica helmets, this is a functional helmet, made to be worn. 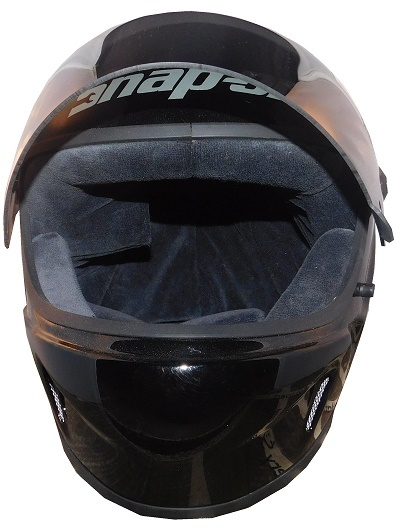 It has a full strap system, and it is in great condition. Snap On racing is alive and well in both the tool business, and auto racing sponsorship, currently sponsoring Cruz Pedregon in the NHRA, and picking up teams for one race deals in NASCAR. Herbert is still active in auto racing, and he wants to build a car that can go 500 MPH on the Bonneville Salt Flats. Next week, we will do something special for the NHL Draft.